This is the time of year when the treasure hunt we call birding is at its best. I look forward to May like a college basketball fan looks forward to March. 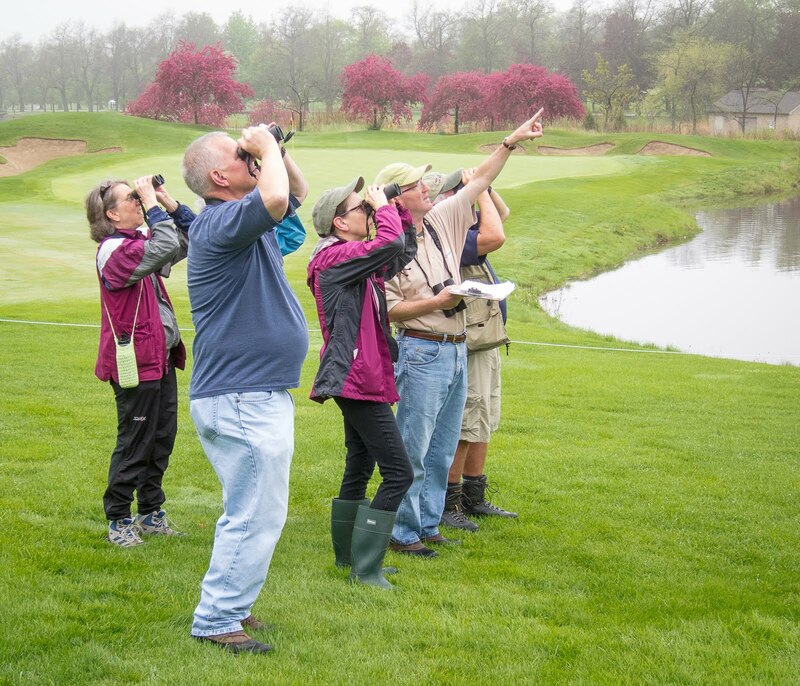 For birders, it’s May Madness, when spring migration reaches its peak. A lot of my birdwatching takes place in the backyard, and every spring I'm amazed by the variety of birds that can be seen. Not so much at the feeders, but in the shrubs, on the ground and in the treetops. Be alert for unusual visitors and you'll be rewarded. Funny thing about birding—the more you look the more you see. It's good to be lucky, too. How else could I explain the dazzling Prothonotary Warbler that momentarily graced my backyard on April 18? It was far from its usual swampy habitat, so I was extremely fortunate that the bird happened by at just the right time. It was a new species for my yard list, No. 105, and how easily I could have missed it! Hopefully you will enjoy a similar experience this month, or maybe several. The memory of spotting an exciting or completely unexpected bird will serve you well when the birding hits a lull in July, or when the snow starts flying in November. What will be your personal Bird of the Year? There's a good chance that you'll see it this month, and it might well belong to the family of birds known as warblers. With so many interesting birds, it’s hard to play favorites. But it's a fact: Warbers are the focus (or obsession) for most birders from mid-April until the end of May. We love these neotropical migrants for their vivid colors, sweet vocalizations and, yes, their elusiveness. Finding and identifying them can be a challenge, but it’s an enjoyable one. In “Going Wild,” author Robert Winkler devotes a chapter to warblers. I haven't seen more than 20 different kinds of warblers during any given spring. Nevertheless, a few of the 41 warblers on my life list are among my all-time most memorable sightings. In fact, it was a male Hooded Warbler that ignited my passion for birds about 14 years ago. And I’ll never forget my first Blue-Winged Warbler, spotted in downtown Chicago of all places. A Cerulean Warbler at Indiana Dunes State Park and the ultra-rare Kirtland’s Warbler in northern Michigan also stand out. Still, my warbler resumé has some gaps. I’m still waiting to see my first Kentucky Warbler, Worm-Eating Warbler and Louisiana Waterthrush—three species that are uncommon but certainly present in this region during migration. It’s a different game at home, where quite a few warblers that I've seen “in the field” have still not signed my backyard guest book. I’m still waiting for a Mourning Warbler, for example, and a Connecticut. These are unlikely backyard birds, even in May, but the same could be said about the Prothonotary. Almost anything is possible, and that proved it. So I'll happily keep checking my trees and bushes, hoping for another magical moment. Anticipating those moments, and savoring them later, is part of what makes birding so much fun.